Yesterday the first cold southerly blast of winter arrived. The temperature dropped from around 15 degrees to 7 degrees. Snow fell in the Southern Alps and on the volcanic plateau in the North Island closing roads and causing general chaos. 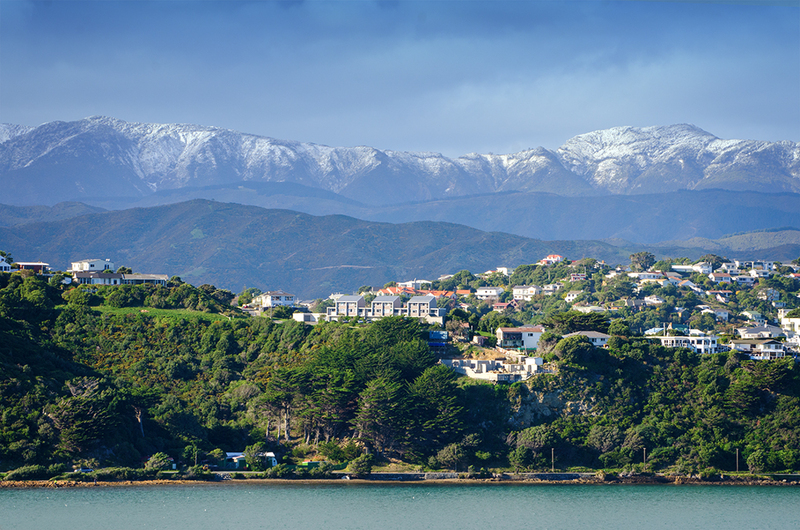 And snow fell on the hills around Wellington. When we woke this morning and looked out the window, the view across the harbour included an early season dusting of snow. Today is a beautiful sunny day but the temperature is hovering under 10 degrees in the shade. Thankfully the wind has gone and things will continue to improve towards the weekend – when winter officially starts. After a week we are starting to get a routine going. The routine is Bella chewing everything while we spend huge amounts of time outside trying to get her to “go toilet”. 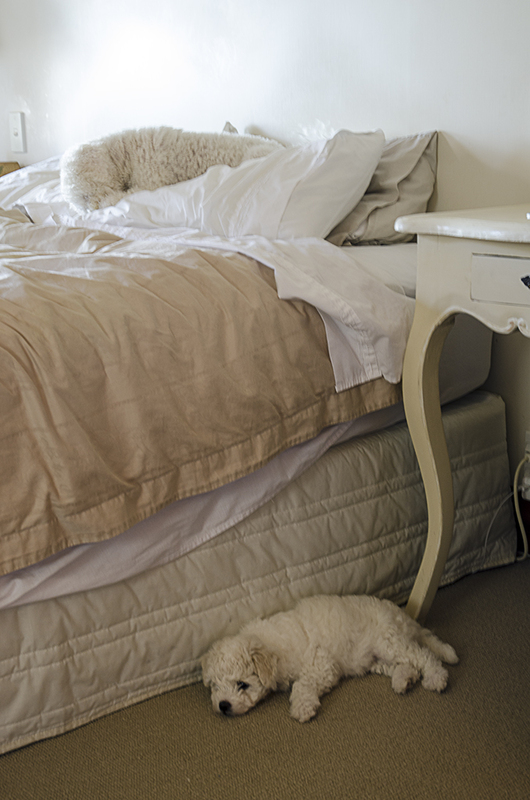 Already the mats are looking a little ragged around the edges and feet – any feet – are fair game for chewing and chasing. Our slightly chewed Poppie – ears and tail mainly – has worked out that height is the answer. Bella can’t jump up on to couches or beds yet so Poppie spends a lot of time on the bed or the couch – much to Bella’s disgust. We have a new member of the family. An 8 week old puppy called Bella. She is a Bichon Frise cross Poodle and is, according to Jean, as cute as a button. Bella has spent two days settling into home and already our routine has been turned upside down. Poppie the dog doesn’t quite know what to make of her but is certainly making sure Bella knows she’s second in line. Rosie the cat has spent a lot of time outside – voluntarily – but I suspect their showdown will come soon. Curious Bella with all the innocence in the world versus smart Rosie with claws. And, of course, Bella is already the most photographed dog in Wellington. Today the first winter southerly ripped through Wellington bringing rain and wind and more rain. 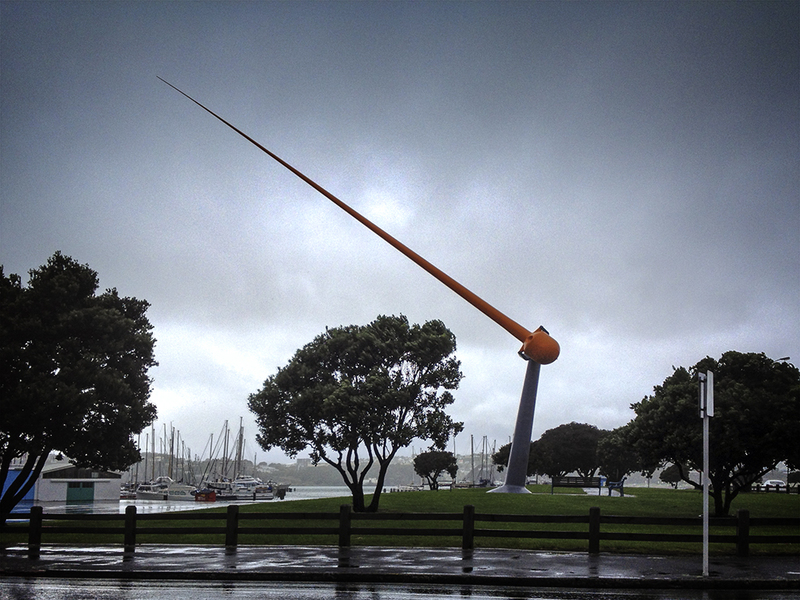 A few posts ago I talked about the piece of wind sculpture called the Zephyrometer. Today it was being worked to the limit.